It's time for another Saturday Night Special over at Funky Junk Interiors. Come see all the great projects! 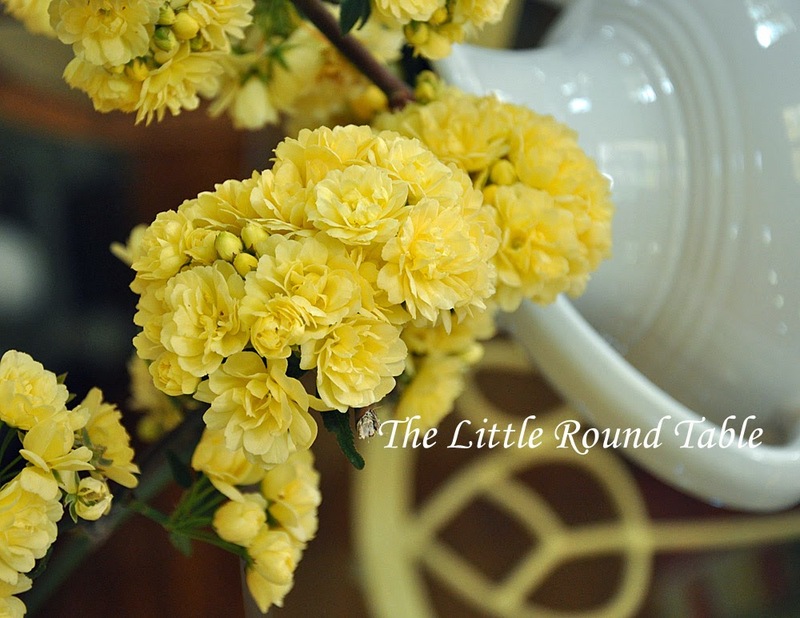 I'm joining Susan's Tablescape Thursday over at Between Naps On The Porch. Join the fun and show us your tables! 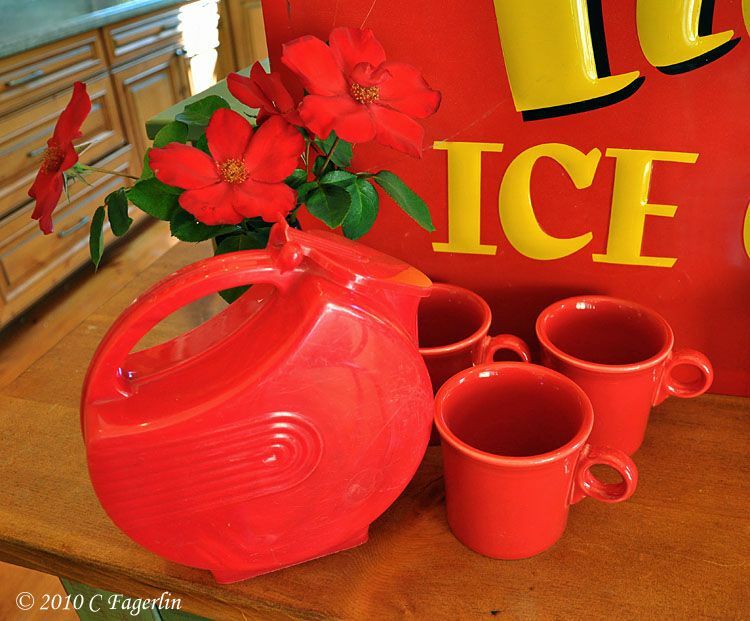 I'm also joining Coloradolady for Vintage Thingies Thursday. 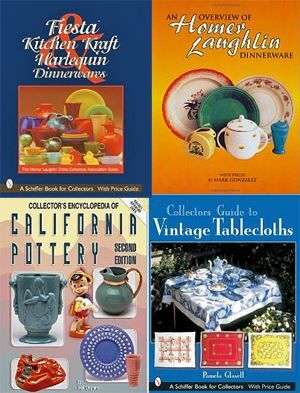 Show us what you do with your vintage thingies! 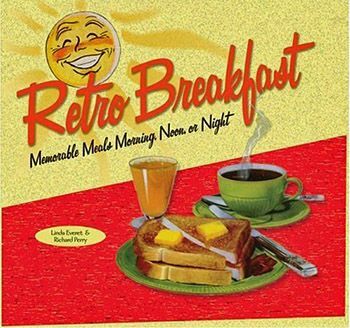 Do you have memories of a favorite diner? 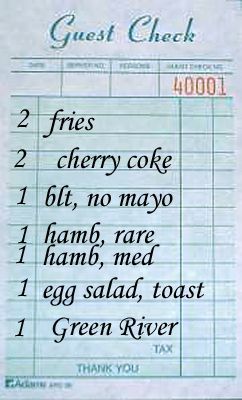 Did you wait all week for that special treat of French Fries and a Cherry Coke? Or was it a Green River soda you craved? 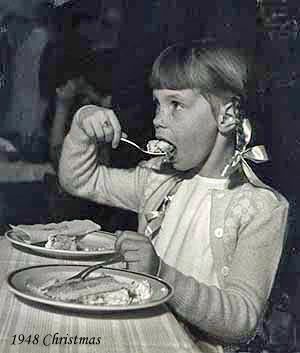 A piece of pie? A BLT? Step into the past with me and perhaps a memory or two will come to mind. and I thought I had died and gone to heaven. 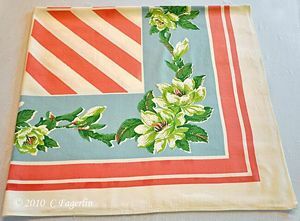 There is some vintage included here, but lots of contemporary items too. 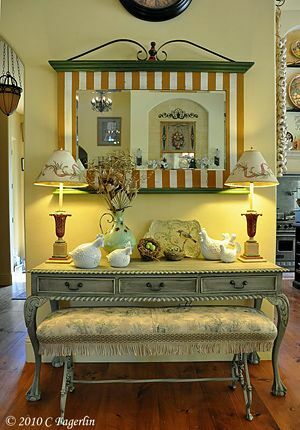 You can achieve that vintage or retro look by mixing all kinds of elements. 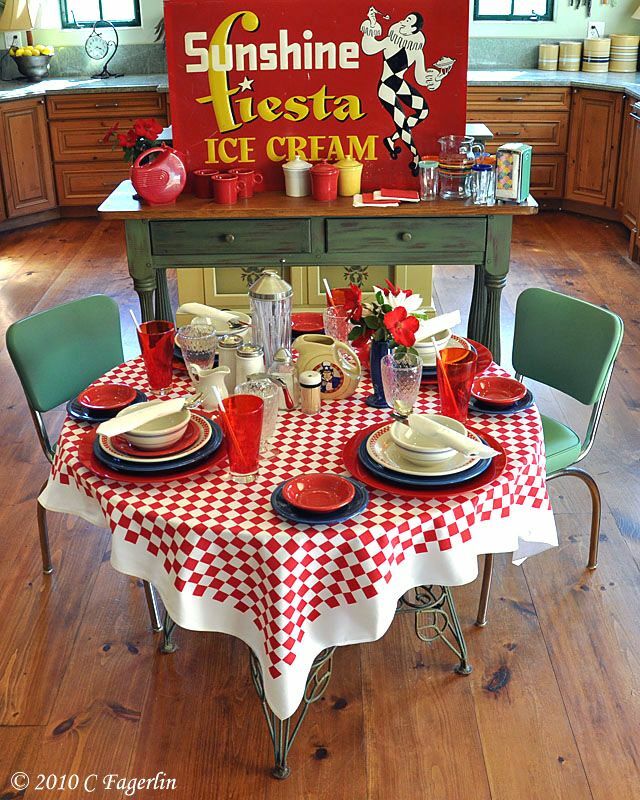 collection of vintage Fiesta go-alongs for many years. 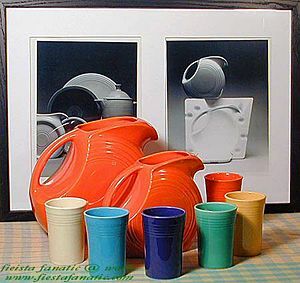 The early plastic pitcher and glassware are vintage. 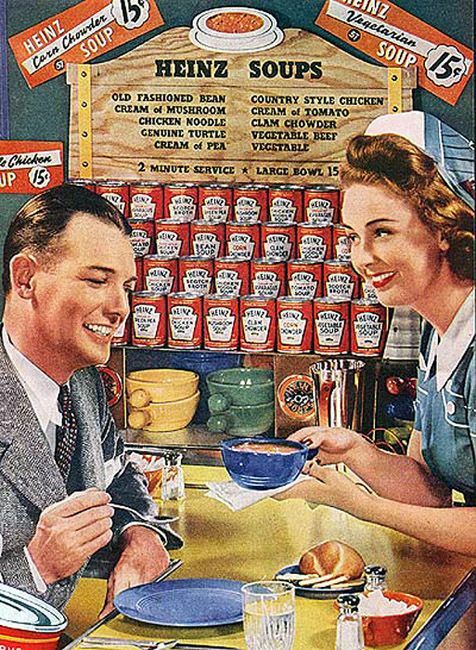 Can you pick out the truly "vintage" things? 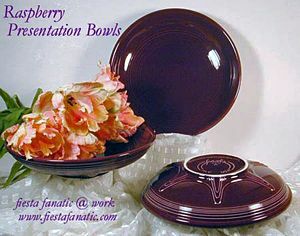 I've shown a couple of ways to use the Homer Laughlin contemporary line of "Diner" dishes mixed with contemporary Fiesta. 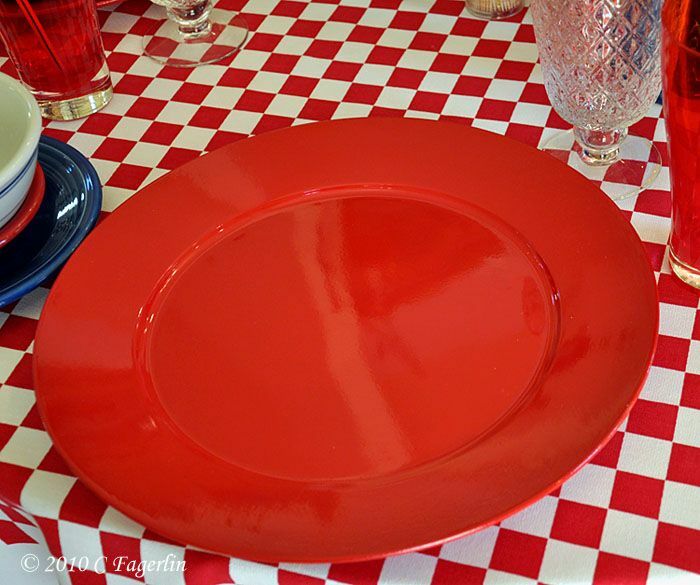 With a Scarlet salad plate and Sapphire dinner plate above. 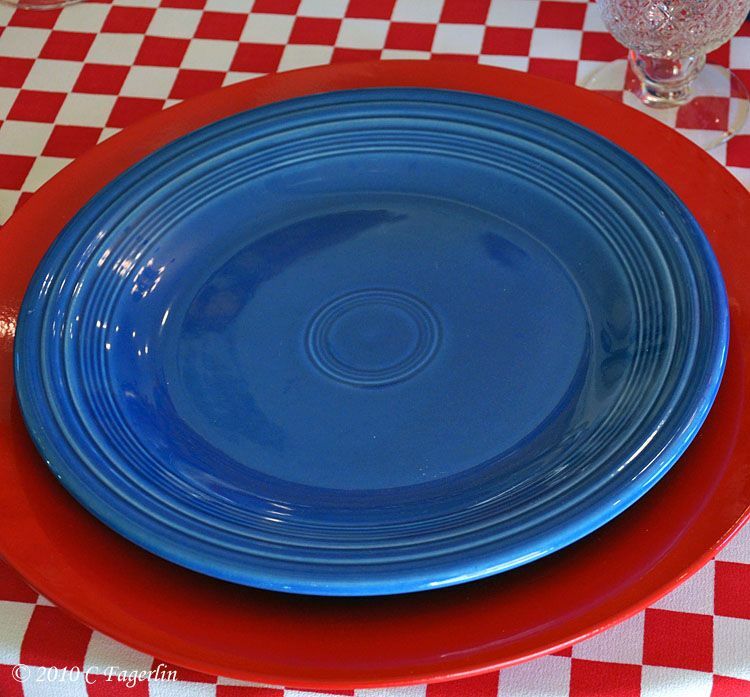 And with just the Sapphire dinner plate here. The chargers are contemporary acrylic. 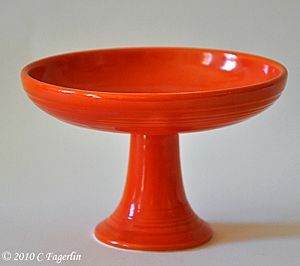 The glassware used on the table is contemporary. 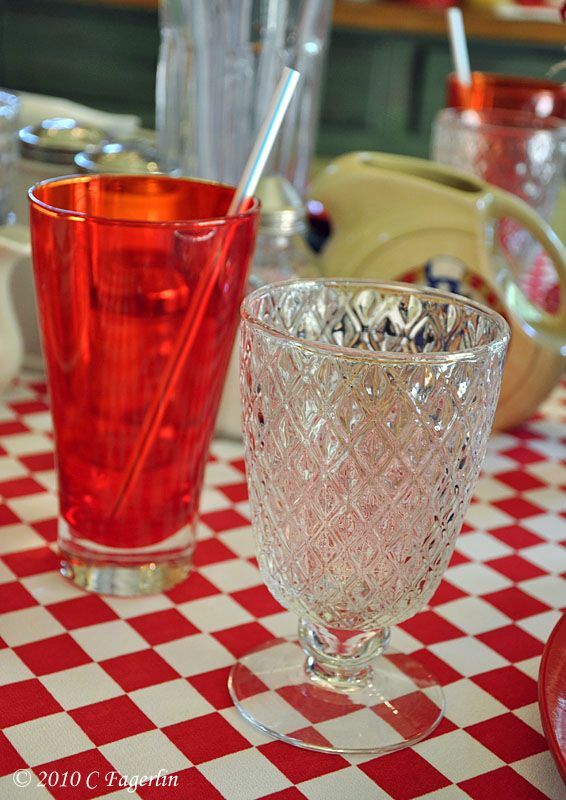 Red tumblers from Home Goods and the faux "crystal" came from Pier 1 summer 2009. 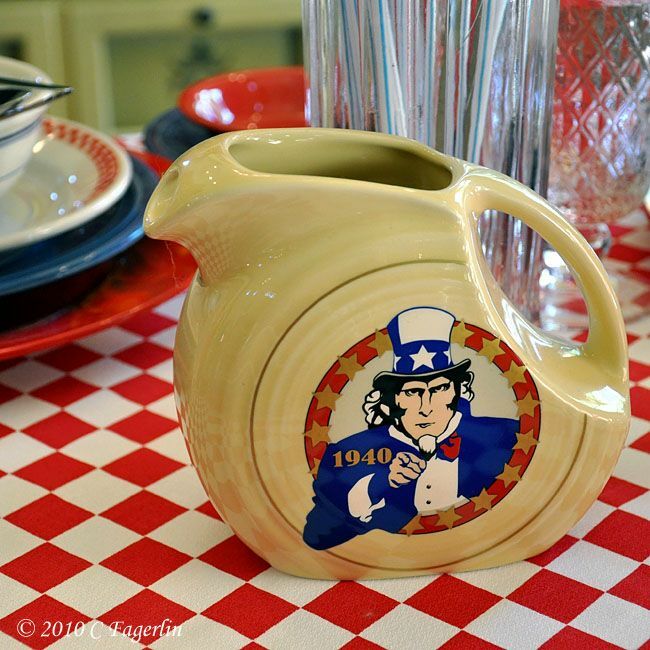 Vintage syrup pitcher with red Bakelite handle. 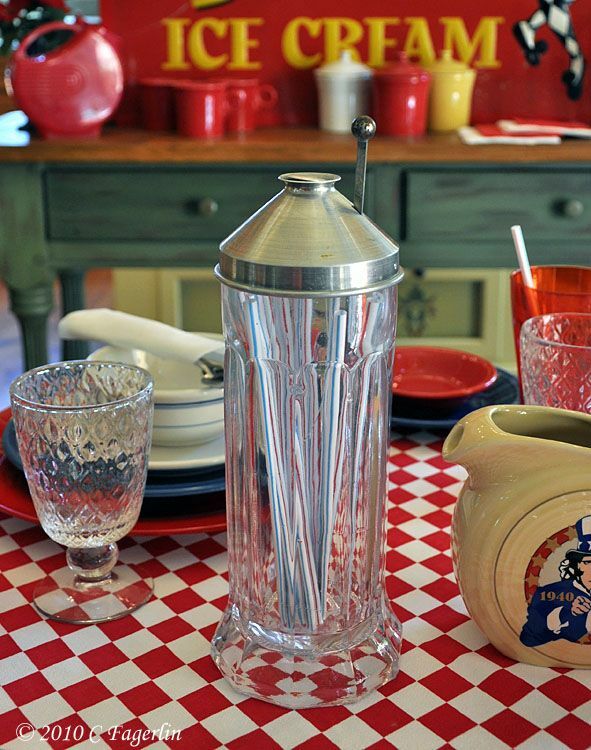 Contemporary pieces that give the table a vintage look. these would have been perfect! 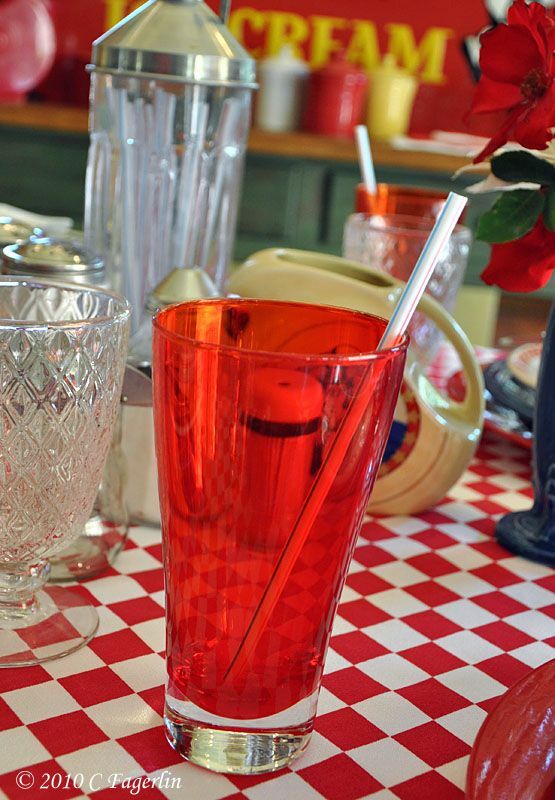 Do you remember paper straws? 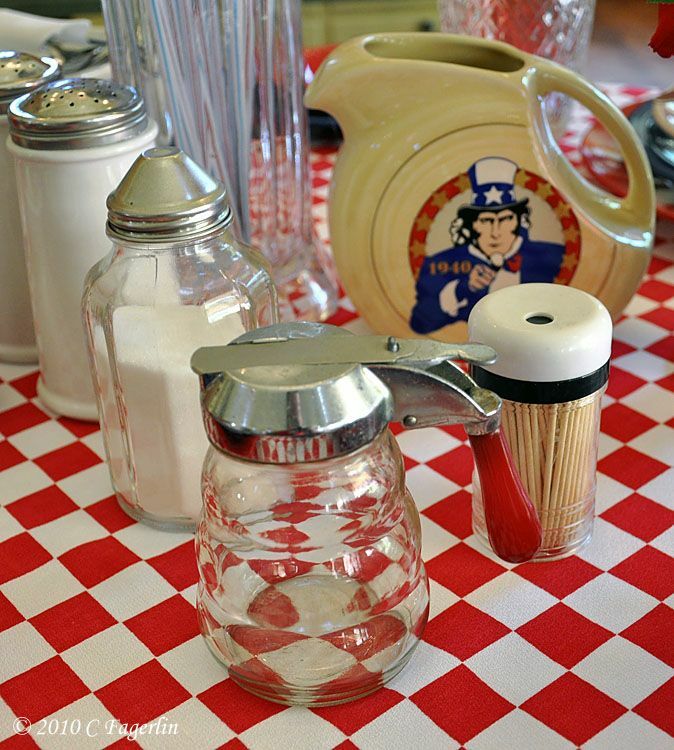 The Sunshine Diner and the upcoming Labor Day holiday. Thanks for coming by to visit The Sunshine Diner, may I take your order? 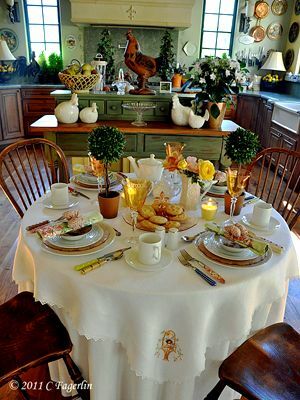 Lovelly tablescape! The pieces are wonderful.Fatima-Scrapart. 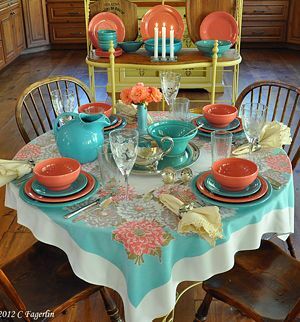 That is the most adorable tablescape I've ever seen- those chairs are to die for! What a gorgeous collection you've got, I'm amazed every time I come visit. Happy VTT! Wonderful! I love it all! It is just so beautiful all together like that! Hey Candy, this is just TOO FUN! You are very clever. 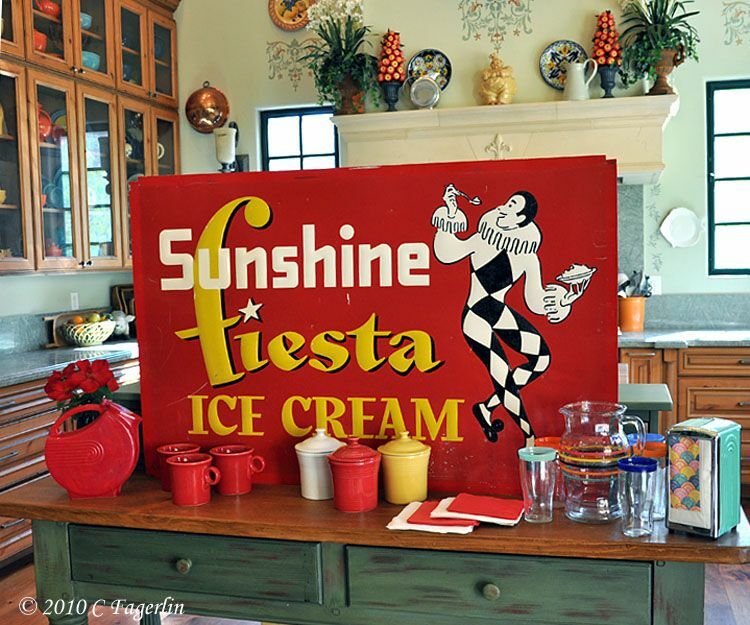 Your signs are so neat and look great in your kitchen with all your pretty things. The music is perfect with your post. Thank you for another good time at your blog! It is always a treat! I just LOVE all your HL items, Candy! You do such a great job of displaying & teaching the history of them. 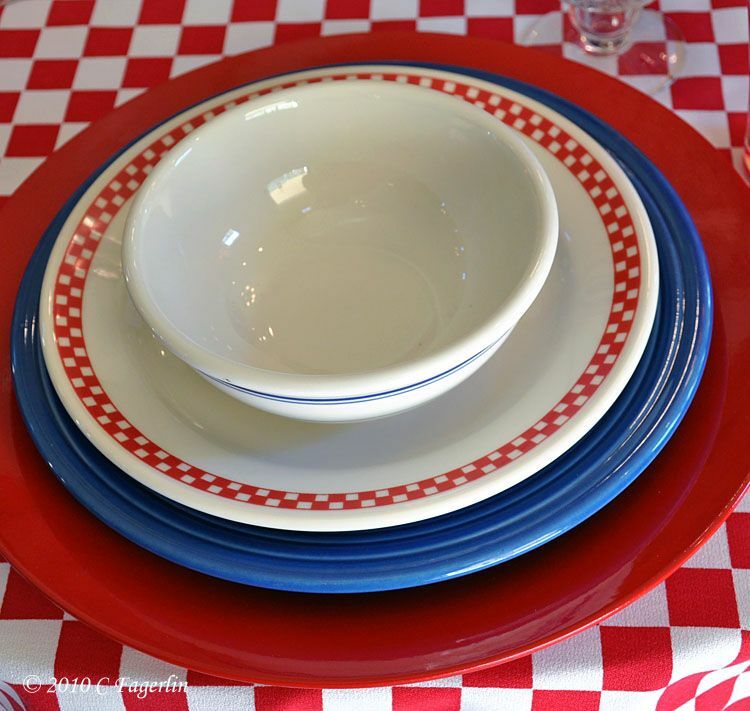 Did I tell you my DD & her DH toured the HL factory before buying their Fiesta ware? They bought me 2 oval plates with golf motifs on them. I 'll have to dig those out! Enjoy a relaxing Labor Day weekend! Adorable Diner! 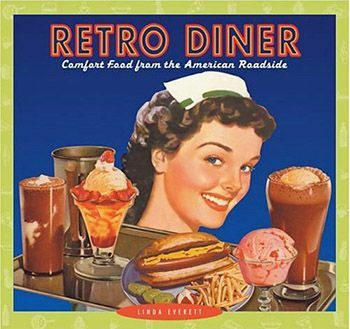 And Diners are my favorite type of restraurant! The colors are so cheerful and I know my waitress will just be so sweet. And the food delicious. I must say the tablesetting is the most upscale diner I have ever seen! 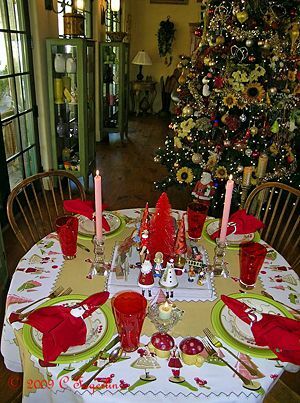 I love this table setting, as much as I have loved each and every one I've seen on this table. The checks make it!!! I love that you showed mixing old and new and how well it plays together in the same sandbox. Great table as always Candy! 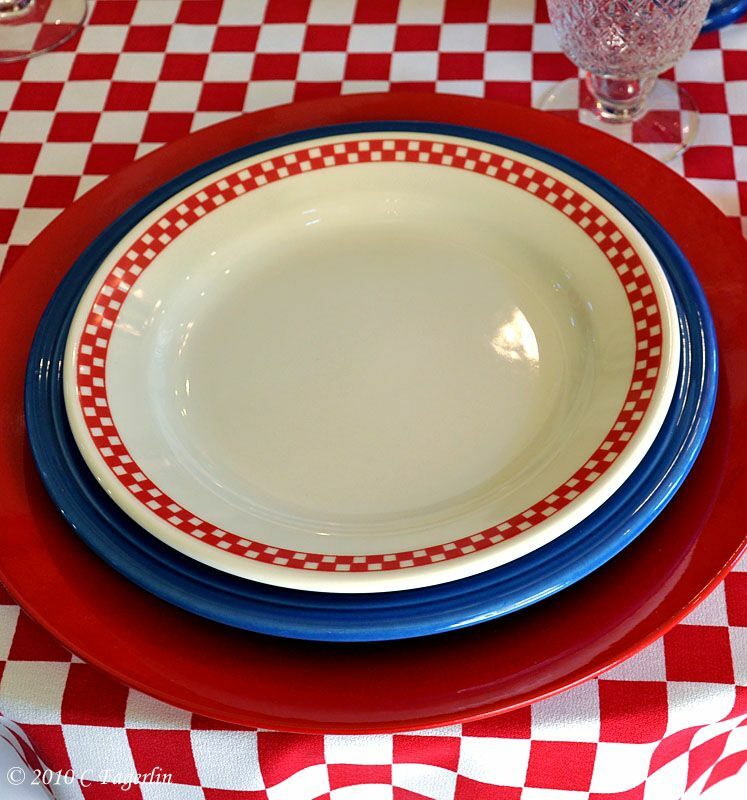 I fell in love with the "american Bistro" dinnerware when it came out. You've amazed me again, thanks for sharing! Oh what fun! This reminds me of an ice cream parlor I loved "The Clover Room" -- Loved their shrimp salad sandwiches and cinnamon Ice cream! OH this is just superb! 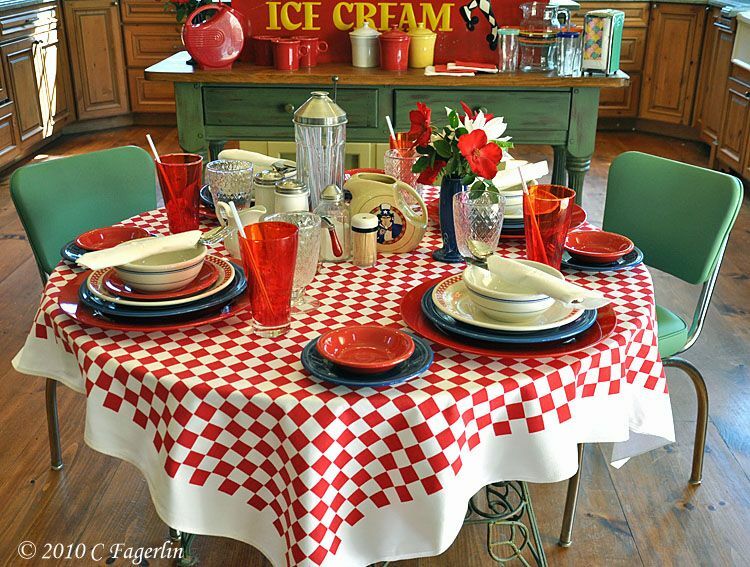 What a fun table and you have it set just perfectly! I remember having a green river as a little girl oh how I loved those! This was a blast to see! You really have some amazing things here and great music! Awesome eye candy, you really captured a little time capsule. Great post. 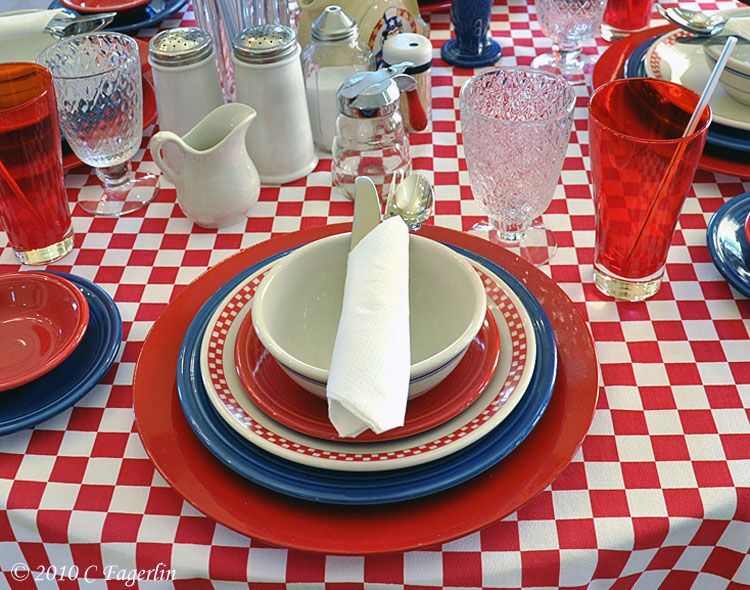 What a fun table setting!! 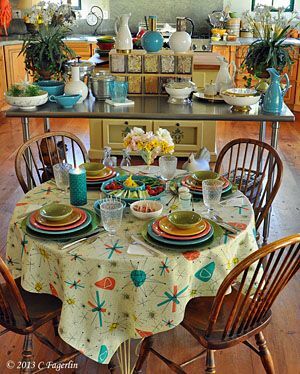 What a fun and bright table! This is just dreamy, Candy! 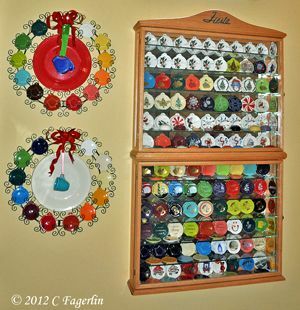 I especially love how you've combined your ephemera collection with the tablescape. Now I'm craving a milkshake and fries! I just want it all, how amazing. You did a fabulous job setting up and taking photos. Thanks for sharing. I know it was a lot of hard work. What a fun table. I love red, white, and blue. Uh...I mean...red, white, and indigo! 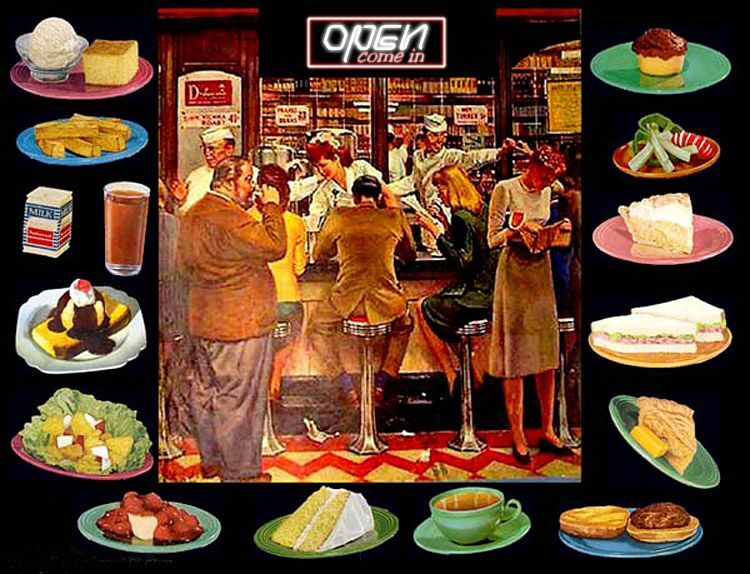 I love diners. 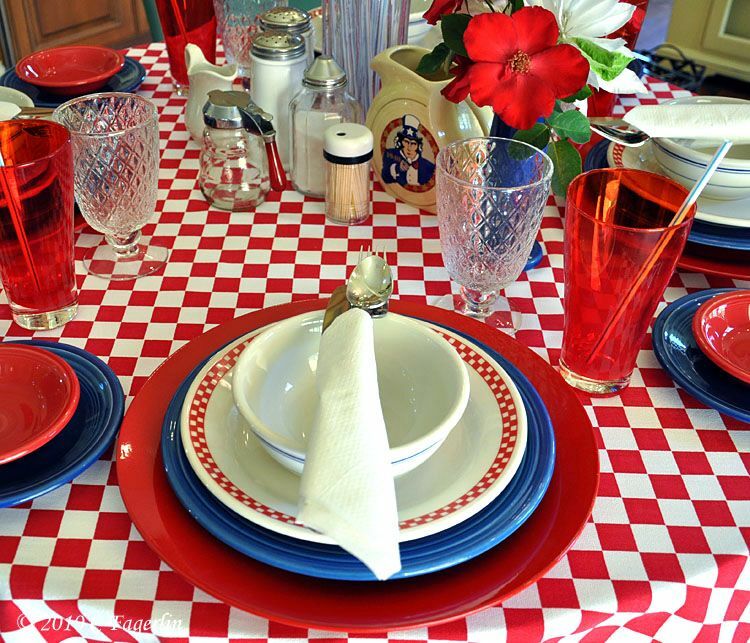 If your meatloaf and mashed potatoes are as good as this table looks, I would stop by your diner anytime. Fun,Fun,Fun! I especially like it with the music. It puts me in the mood to enjoy your table. The whole theme was carried out to perfection. I love it! 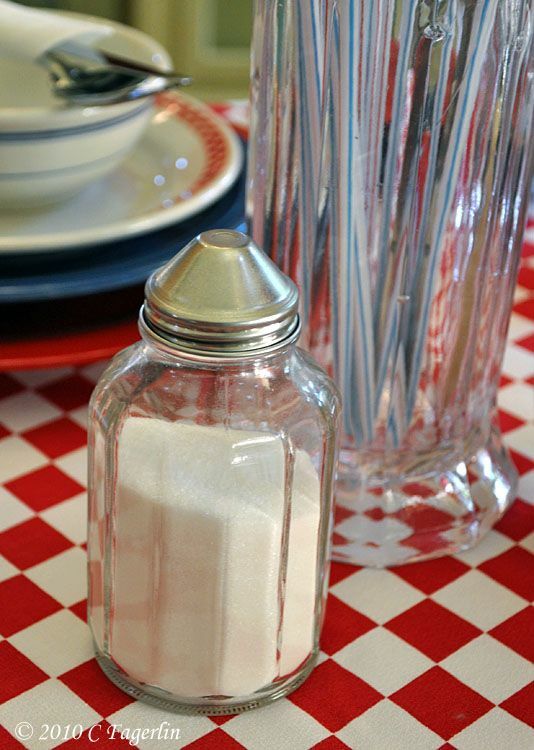 What a wonderful stroll through the sunshine diner! Your displays are always so much fun! What a totally fun stop for Rainbow Summer School! 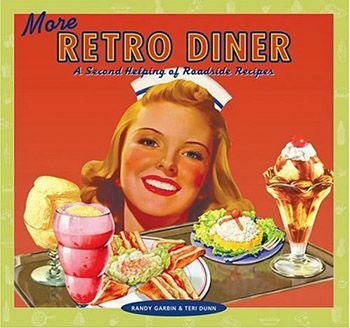 I love everything and am super excited to learn that Homer Laughlin is doing those diner dishes still. I am going to look into ordering some of those for sure! I really enjoyed looking at all the treasures in this picture...and finding out what was true vintage vs. repro was really helpful information. 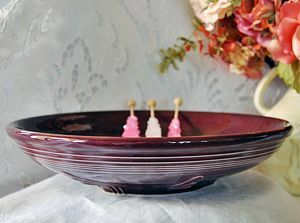 Hi Candy, these colors and mixed dishes looks awesome. I love the entire tablescape. It is so Americana and full of fun. Yes, I can pretty much pick out the vintage items. I used to sell antiques. I miss it! Another fun and interesting setting - thanks as always. This sure brings back childhood memories. 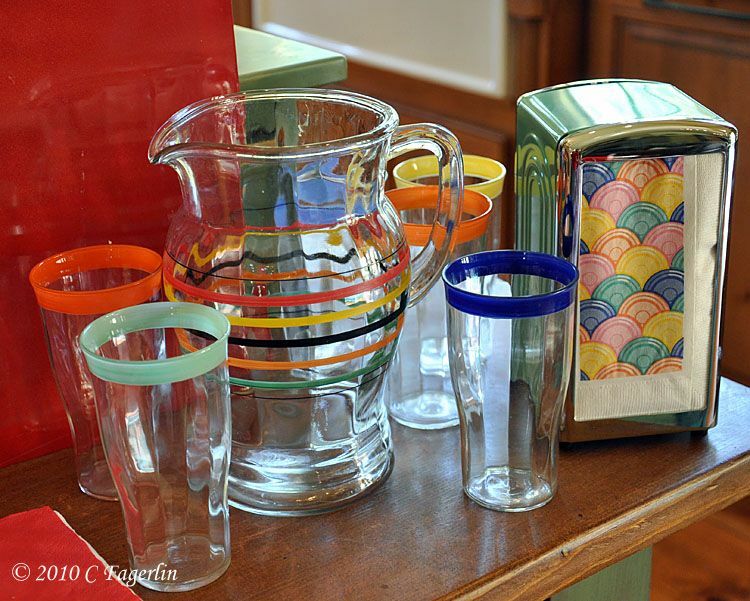 We had striped glasses that probably matched your rainbow striped pitcher. Sadly, they are all gone, now. Another cute tablescape! I love that sign! 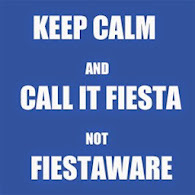 How perfect with fiestaware. 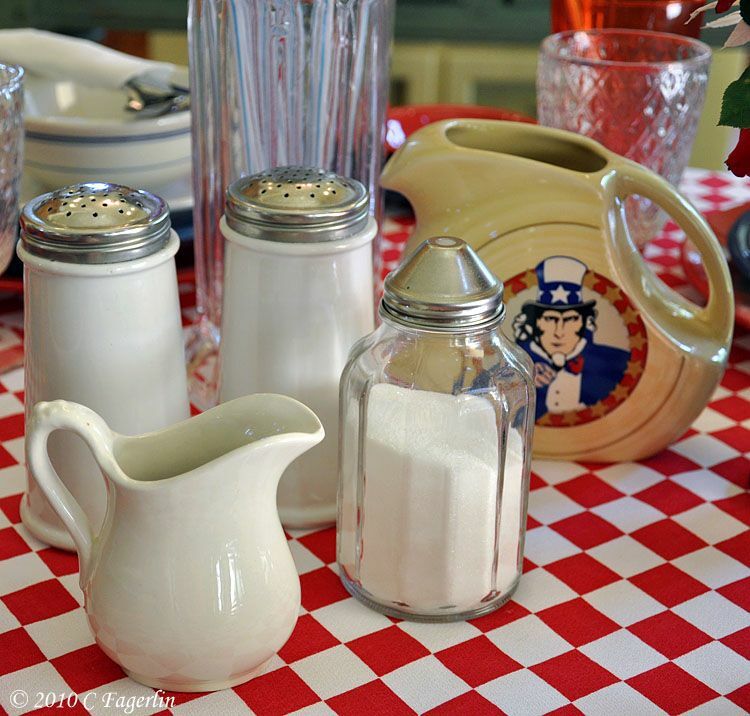 Thank you all for the lovely comments on my little diner tablescape! Truly was fun and pretty easy to put together with things both old and new. For those of you interested in adding some "diner" disher to your own dining experience, check out Macy's for some good prices using their discount codes. The setting is so much fun. I can almost smell the burgers and taste the malt. What a fun place you have! 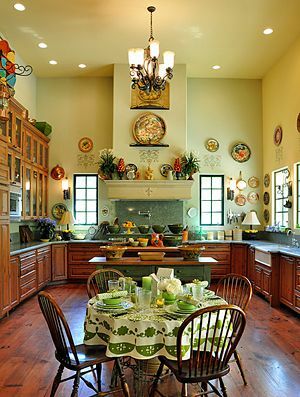 I just adore your kitchen and your tablescapes are amazing! Stopping by from Funky Junks SNS. It's been a pleasure visiting with you. What a fun table! 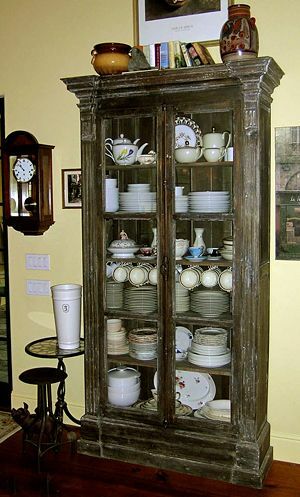 I love the mix of old and new...and I love your kitchen!! Thanks Sandi, I'm so pleased you enjoyed your visit. 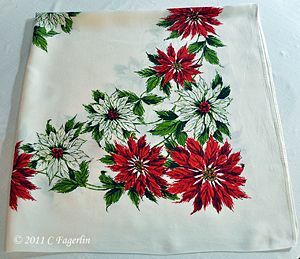 Candy, Do you have any information about the tablecloth you used? I love checks.